WORTH WAY: (part of) following the railway line is the route of the Footpath Society’s walk this Saturday (February 9) with possible lunch afterwards. 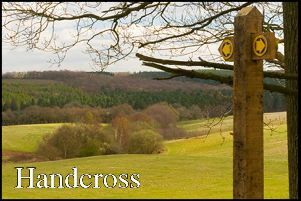 Meet at Turners Hill, Lion Lane (Map Ref: 341 358), for this four mile walk; ready to start walking at 10.30am. For more details call Geoff and Gill Gamble on 01273 891218 or 07719 540121. JUMBLE SALES: take place on Saturday March 2, at 2pm, at the village hall to raise funds for the Activity Scheme and on Saturday March 30 for the Tennis Club.